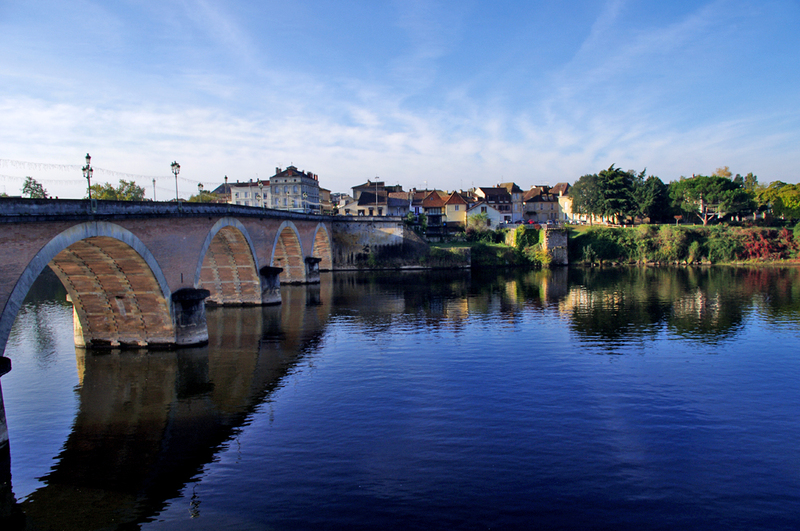 This morning’s view of the bridge over the Dordogne which leads to the centre of Bergerac. 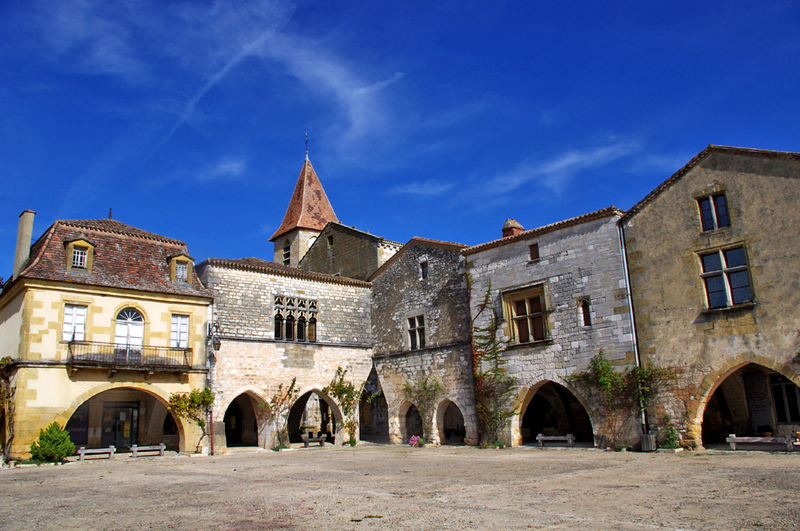 The main square of the 13th century bastide town Monpazier, a member of Les Plus Beaux Villages de France, and where we had baguette and cheese for lunch. 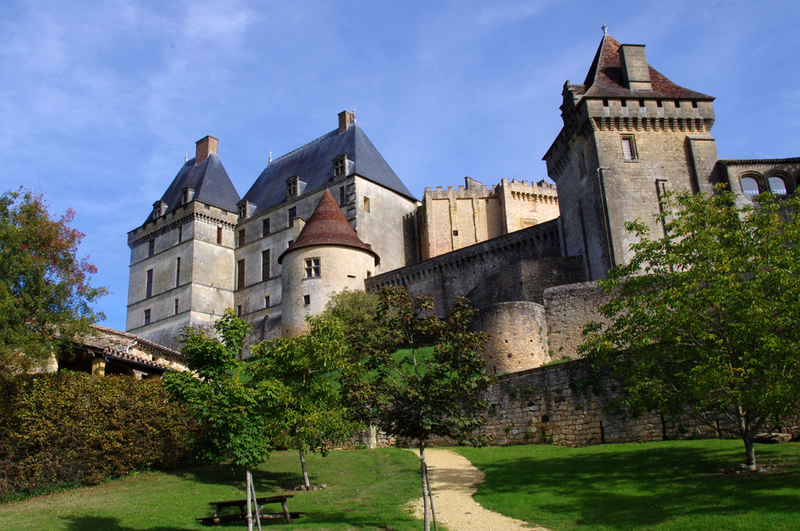 The spectacular Chateau de Biron which we toured in the afternoon. 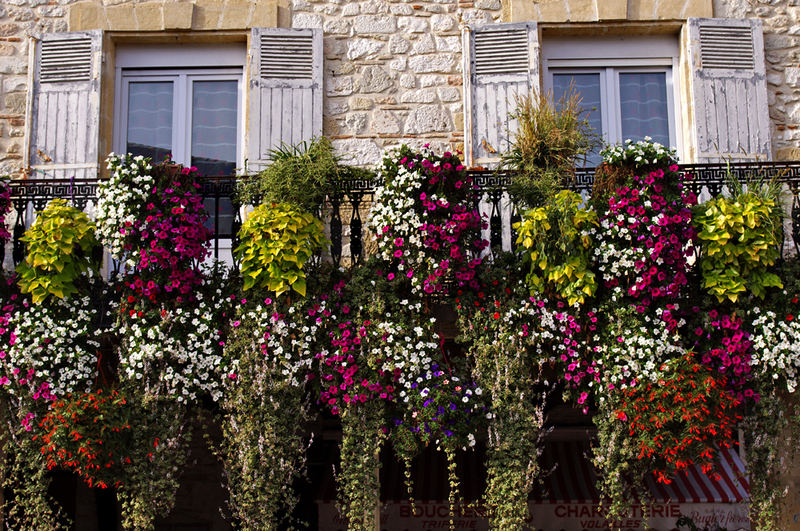 This balcony of cascading flowers in the main square of the bastide town of Villeréal was a colorful climax to another memorable day. It just keeps getting tougher! Thanks Osyth. The weather is just wonderful with absolutely perfect light. Will be sad to leave on Thursday.